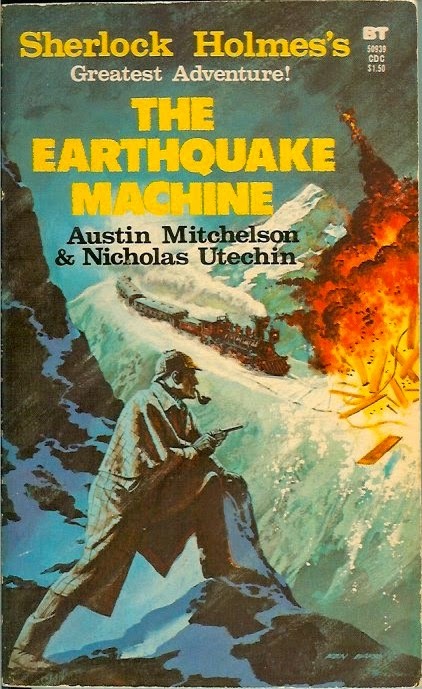 I've not read this Holmes pastiche by Austin Mitchelson & Nicholas Utechin, but I love the cover! In the autumn of 1906, a telegram was delivered to 221B Baker Street. It contained a message which was to plunge Sherlock Holmes and Dr. Watson into their most terrifying adventure, which would threaten the very existence of the British Empire and bring the world to the edge of destruction. This message set the two detectives on a relentless search for a group of terrorists bent on world war. It read simply: "Come at once, your country at stake."